Hogan’s Alley has a wonderful gallery of full-color topper strips courtesy of Bill Blackbeard as a supplement to the latest issue of their always wonderful magazine (#16)…. there are some other great supplements at the link as well, as usual. Topper or header strips, for those who don’t know, are secondary comic strips that used to be published in conjunction with the main strip back when cartoonists were afforded an entire page of a Sunday newspaper to practice their craft on. 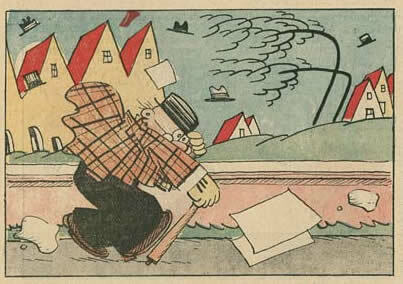 Most of these wonderful strips are largely forgotten today, and many are quite wonderful… examples of some of my favorite header strips are featured… Otto Messmer’s Laura (a header of Felix… which they have attributed mistakenly, although understandably, to Felix credit-stealer Pat Sullivan) and Segar’s Sappo (a header of Thimble Theatre) notably. 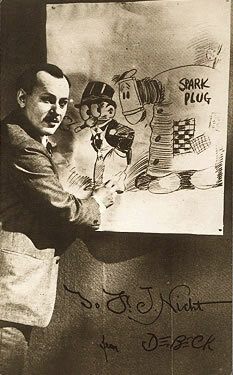 Cliff Sterrett, Billy DeBeck, Rube Goldberg and many other greats are featured as well. There are no examples of Sterrett’s wonderful silent Dot and Dash topper, unfortunately (another of my favorites), but multiple examples of his variously titled marriage-lament topper strips (all headers of Polly and Her Pals). The world of Kamandi: Earth, A.D.! Late Delivery Tuesday Newspaper Strip Day. Comic : Web of Mystery – more issues! Reg Parlett- The Mummy’s curse..
Gumbo Galahad is Laffin’ at Yo’. We Have a Winner: Blinded Me with Comics! Plus: Making a Splash, 1980s style! Page one from “Dark and Stormy Night." No Kids Stuff Friday Comic Book Day. Here’s Vampirella (warren) Issues 60 & 61. Ernst & Saunders, Kelly, Lazarus, Schulz, Walker: "Comic Strips They’d Really Like To Do"
Arabian Knight Tuesday Newspaper Story Day. What in the world is Dylan up to? It Came from EC: Vintage Bradbury adaptation. Here’s a typically funny example I scanned of Barney Google, with header strip Parlor, Bedroom and Sink, which appears to have turned into Bunky eventually, from November 23, 1930 (the depths of the Great Depression) by the great Billy DeBeck. Hard to believe no one is reprinting Barney Google yet… it is truly one of the great strips of the last century. I was thinking I had heard about a reprint project for this a while ago, but if I did, damned if I can find any mention of it now. If there is a strip more deserving of a complete reprinting, I don’t know what it is. Here are examples of Married Life by Billy DeBeck, courtesy of Barnacle Press. Here are some assorted strips by Billy DeBeck at Barnacle Press. 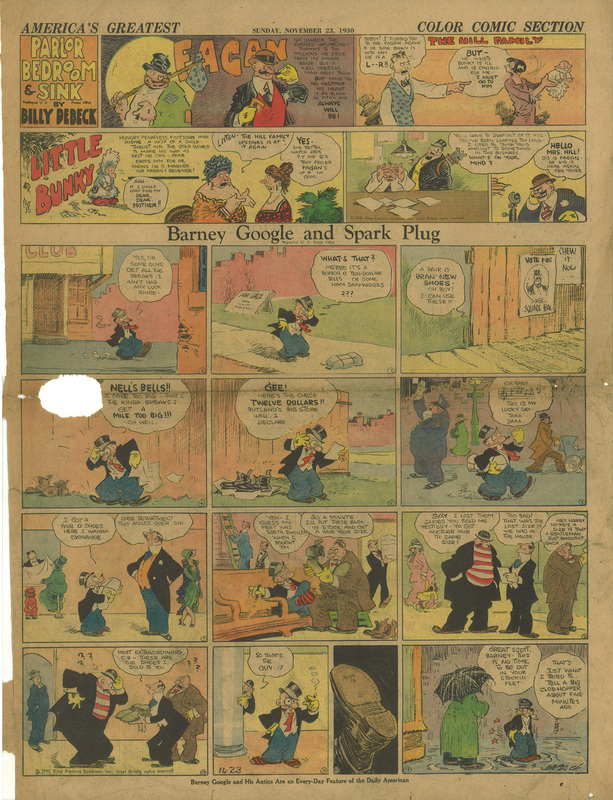 Here are some Barney Google/Snuffy Smith strips courtesy of John Adcock at Yesterday’s Papers. Here’s an old article about Billy DeBeck at The Stripper’s Guide. Here’s another an old article about Billy DeBeck at The Stripper’s Guide. Click here to read more about Billy DeBeck at lambiek.net. 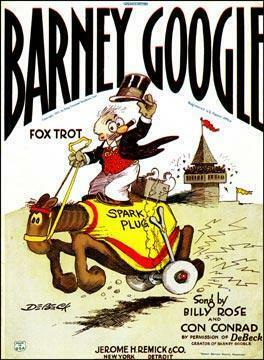 Click here to read more about Barney Google at Don Markstein’s Toonopedia. Click here to read more about Snuffy Smith at Don Markstein’s Toonopedia. Click here to read more about Bunky at Don Markstein’s Toonopedia. Here’s a self-portrait of DeBeck (among other cartoonist self-portraits) at entrecomics.com. Here’s a gallery of fantastic Billy DeBeck sketches at comicartfans.com. Note that there is a lot of other fantastic Billy DeBeck art on that site as well if you do a search for his name (like this one for example… and this one)… for some reason, they unfortunately don’t make it so you can copy and paste a search there. Here is the Wikipedia entry on Billy DeBeck. Here is Time Magazine’s obituary of Billy DeBeck. 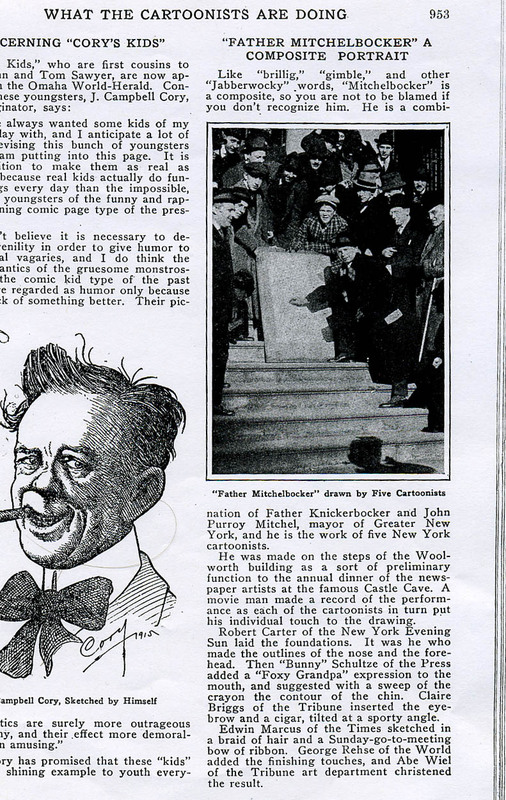 TODAY’S FEATURED ITEM: More amazing classic newspaper pages posted today at the ASIFA-Hollywood Animation Archive, courtesy of their MARC DECKTER CHALLENGE… Messmer, DeBeck, Sterrett, Gross and more! Click the image above to go there! Desert Critters Tuesday newspaper strip day. Sam’s Strip: Due for Complete Reprinting! Crumbling Paper: Billy DeBeck Cartooning Tutorial #2: Cartoonists Wanted! 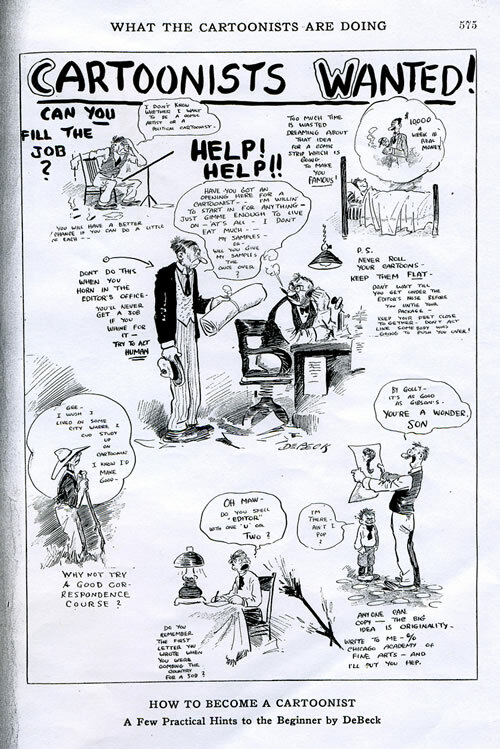 Here’s another great Billy DeBeck (of Barney Google fame) tutorial called “Cartoonists Wanted!” from Cartoons Magazine, courtesy of Kirk Taylor of the previously mentioned Taylor-Morse Collection website. Thanks again, Kirk! 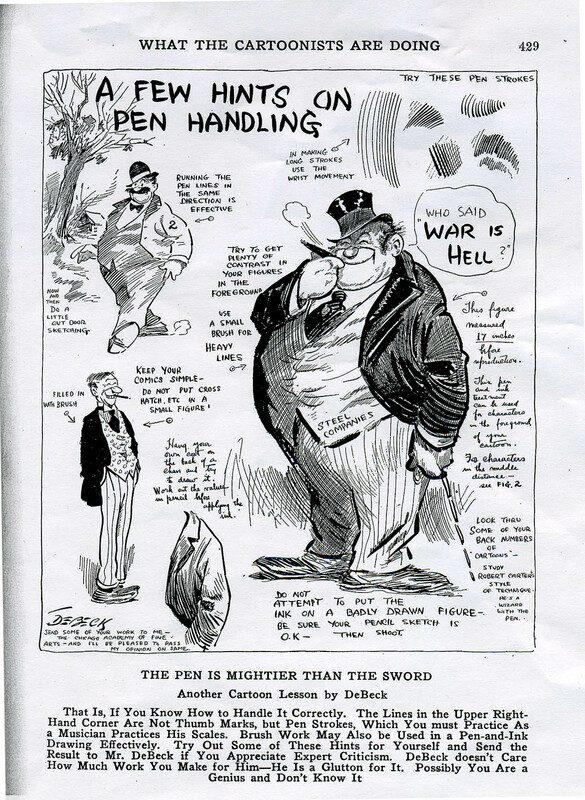 Go here to view scans from the January 1916 Cartoons Magazine at the ASIFA Animation Archive. Here is a large collection of Cartoons Magazine from 1915 at Google Book Search… wish the resolution was a little better, but still a treasure trove. Read examples of Billy DeBeck’s Barney Google at Barnacle Press. Read STWALLSKULL’s previous posts on Billy DeBeck and Barney Google. Check out the Yahoo GoogleGang group that sporadically posts Barney Google strips. Read more about Barney Google at Toonopedia. Read more about Billy DeBeck at Lambiek. Kirk Taylor of the previously mentioned Taylor-Morse Collection website sent a couple of very interesting scans to share. First of all, here is an article from a 1915 issue of Cartoons Magazine, about a jam drawing made by a number of cartoonists including Carl Edward “Bunny” Schultze (Foxy Grandpa) and Claire Briggs (Mr. and Mrs.. I’m happy to report that I recently scored a stack of his wonderful work that I will scan and post here eventually. You can see a large sampling of his early work at Barnacle Press here.). Click here to read the article. Second of all, Kirk sent a wonderful Billy DeBeck tutorial called “A Few Hints on Pen Handling.” Apparently, DeBeck did a regular series of tutorials in Cartoons Magazine… boy would these make a great book. If anyone has more of these to post, I would sure love to post them. I’m definitely going to harass Kirk for some more! encouraging them to submit samples. My apologies in advance for the cross-post, but I thought both lists might have an interest in these DeBeck studies. 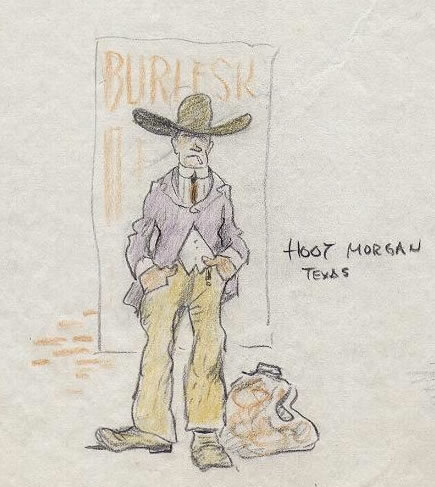 Many years ago, Howard Lowery auctioned off a lot of 18 sketch pages by Billy DeBeck. These appear to be from the late 20s or early 30s, though I’m far from 100% sure. I was the under bidder on these pieces way-back-when, but was lucky enough to be able to acquire them recently. The pieces appear to be fleshed out studies from when DeBeck was staying at the Continental Hotel. You can see that some characters are drawn directly from life, while others appear to come directly out of DeBeck’s fertile imagination. I assume that the pieces were drawn in NYC, though that’s only a guess. Whatever the case, it’s an interesting look at DeBeck’s character development. It’s almost like he was coming up with characters for a play, or maybe secondary characters for Barney Google. Any info or light that could be shed on these would be appreciated. Thanks! Click on the below image to view the gallery. If you want to see more of DeBeck’s wonderful work, check out the Yahoo group googlegang for regular reprints of Barney Google strips (courtesy of cartoonist Roger Langridge), and these DeBeck strip reprints from Barnacle Press. Barney Google is way up there on my list of great neglected comics. It is beautifully and distinctively drawn (I love DeBeck’s loose, scratchy style), and very funny. 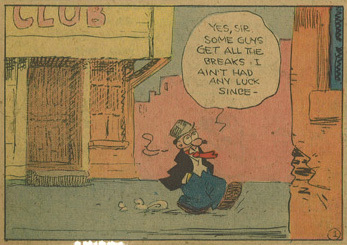 Although this was one of the most popular strips of the 1920s and 1930s, there are only two major print reprints of the strip I’ve run across, neither of which provides a thorough reprinting. One is Bill Blackbeard’s Barney Google 1919-1920 volume of The Hyperion Library of Classic American Comic Strips from 1977 (reprinting the early years of the strip before Barney was divorced and before he found his horse Sparkplug)… the other is the book Barney Google and Snuffy Smith by Brian Walker which offers some short runs from different time periods (hillbilly Snuffy Smith, who is still in the papers today, got his start as a secondary character in Barney Google, and then took over the strip). There are some good runs of the strip in The Smithsonian Guide to Newspaper Comics and The Comic Strip Century as well. I love the Barney Google Comic strip (which really needs a complete reprinting, but you can get a good taste of it by joining the yahoo group “GoogleGang” here). In its heyday in the 20’s, it was one of the most popular comic strips in the country, and as a result it was also a merchandising phenomenon. This merchandising included, among other things, a song. My Grandpa likes to sing a refrain from the song “Barney Google” every once in a while, and I recently started singing it to my daughter along with a lot of eye rolling at the appropriate points, which she finds hilarious. I thought I’d see what I could find out about it around the interweb. Who’s the most important man this country ever knew? Do you know what politician I have reference to? Well, it isn’t Mr. Bryan, and it isn’t Mr. Hughes. Barney Google, with the goo-goo-goo-ga-ly eyes. Barney Google bet his horse would win the prize. When the horses ran that day, Spark Plug ran the other way. Now he’s living with his horse. Who’s the greatest lover that this country ever knew? And who’s the man that Valentino takes his hat off to? No, it isn’t Douglas Fairbanks that the ladies rave about. Why, it’s Barney Google, with the goo-goo-goo-ga-ly eyes. Barney Google is the guy who never buys. Women take him out to dine, then he steals the waiter’s dime. Barney Google is the luckiest of guys. If he fell in to the mud, he’d come up with a diamond stud. Barney Google with the goo-goo-goo-ga-ly eyes. Who’s the greatest fire chief this country ever saw? Who’s the man who loves to hear the blazing buildings roar? Say, tell me do, who goes, “kerchoo!” and puts the fire out? Barney Google, thought his horse could win the prize. He got odds of ten to eight; Spark Plug came in three days late. Barney Google tried to enter paradise. When Saint Peter saw his face, he said, “Go to the other place”. I’ve got four versions of this song for your listening enjoyment (courtesy of archive.org and juneberry78s.com). Hogan’s Alley has a nice gallery of old sheet music covers featuring old cartoon characters… there are a ton of them. Looking at the gallery, it reveals that there was a second Barney Google song… “The Brotherhood of Billy Goats.” If anyone has a recording of that out there, I’d love to share it.